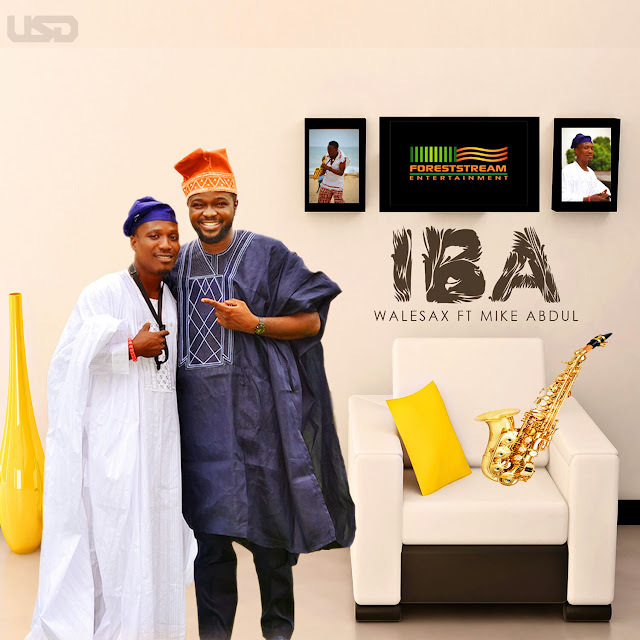 Jazz saxophonist Wale Adekanye popularly called Walesax is back with this double release of both audio and video for his latest song titled “IBA” which features the award winning gospel artist Mike Abdul of Midnight crew. Walesax is always noted for his unique sweet sax sound which differentiates him from other sax players. IBA is the first single to drop off Walesax new project which has a caption of “The Adventure of Walesax….. My Sax My Weapon”. “IBA” is a word in Yoruba land of the Western Africa with a very deep and highly spiritual meaning “Paying homage”. In this song,Walesax and Mike Abdul duly paid homage to God Almighty that deserves all. My success and everything I am and will ever become is returned as Iba to Olu-Orun (God). Give “Iba” to Him cos it belongs to him alone.